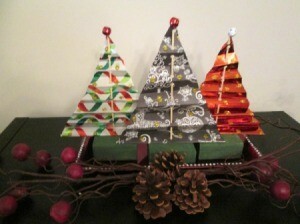 A simple, inexpensive Christmas decoration you can create with scrap wood and festive holiday wrapping paper. 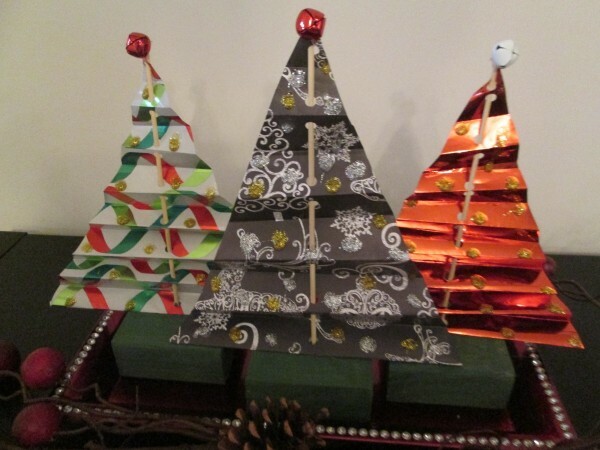 This is a guide about making accordion christmas trees. I have a project that is simply made. With scrape pieces of wood and wrapping paper, you can make a vignette of trees or just make singles to be placed throughout your space. 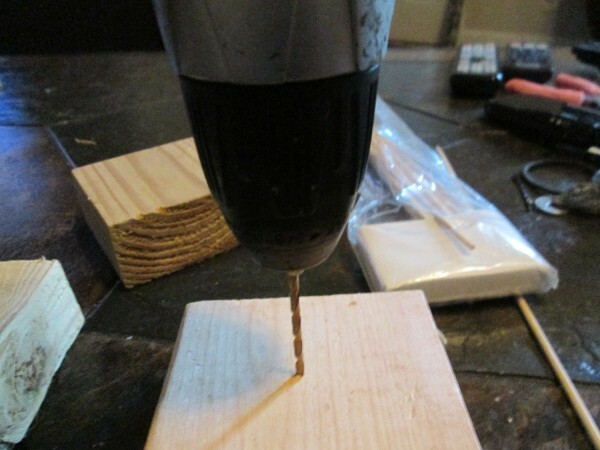 With your wood pieces pre drill holes in the center of your wood. 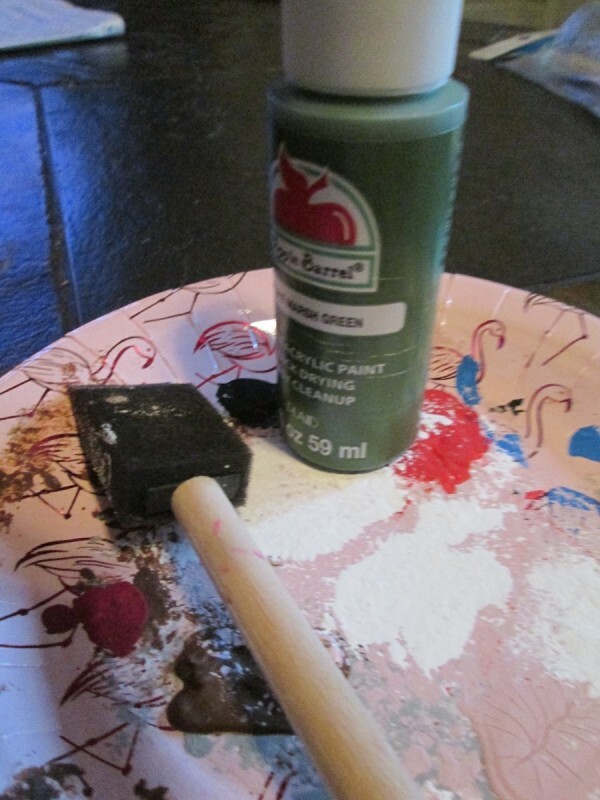 Pre paint the base of your tree. 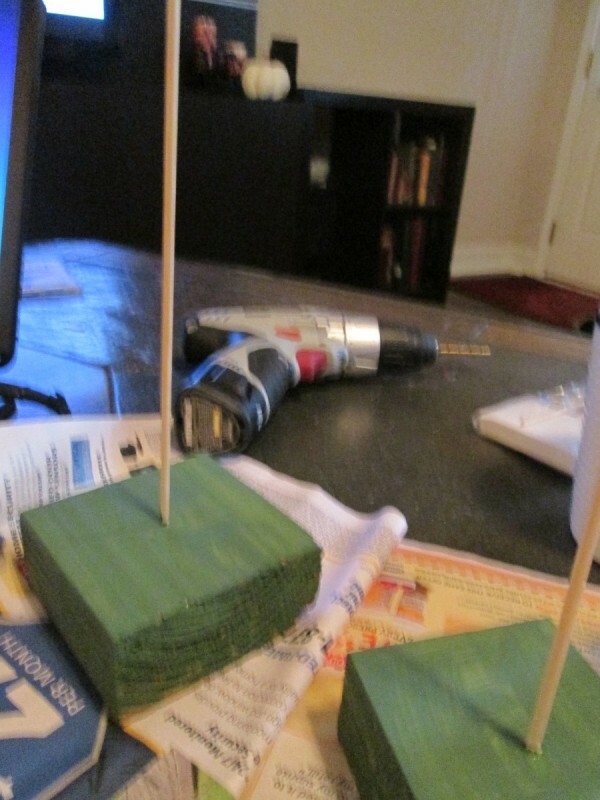 Screw the skewer into the hole (if too loose you can use hot glue to tighten). Take your gift paper and cut a 12 inch triangle. You can use this as a template if you are doing several. 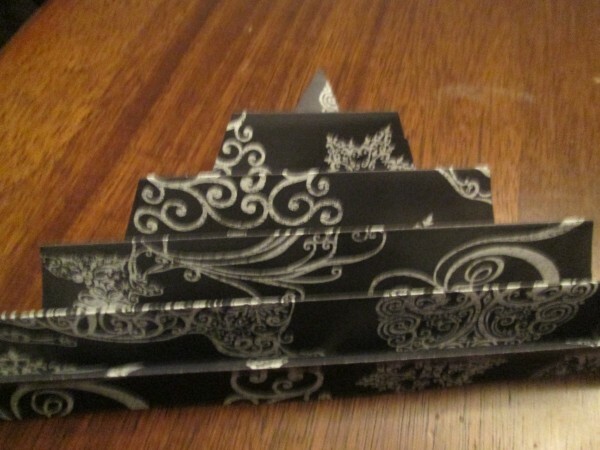 Take the paper triangle and fold up, then fold behind making making sure the folds are about the same size fold. 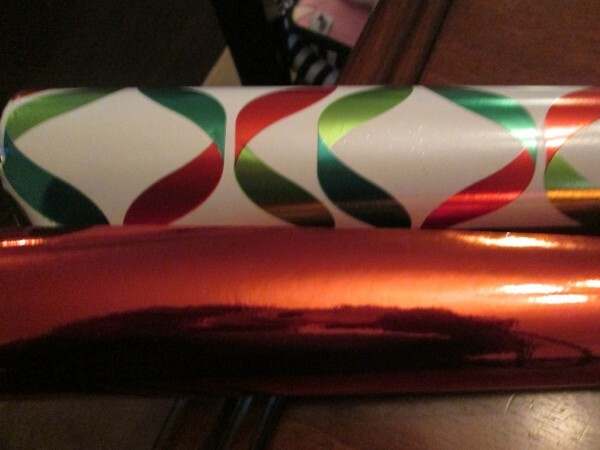 With a hole puncher, punch a hole through all of the folds, in the center. 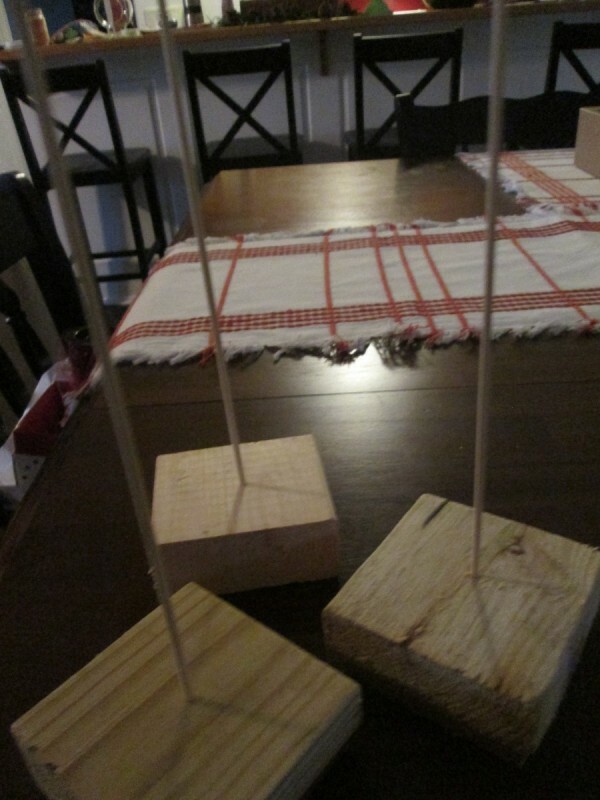 Now thread down your skewer. 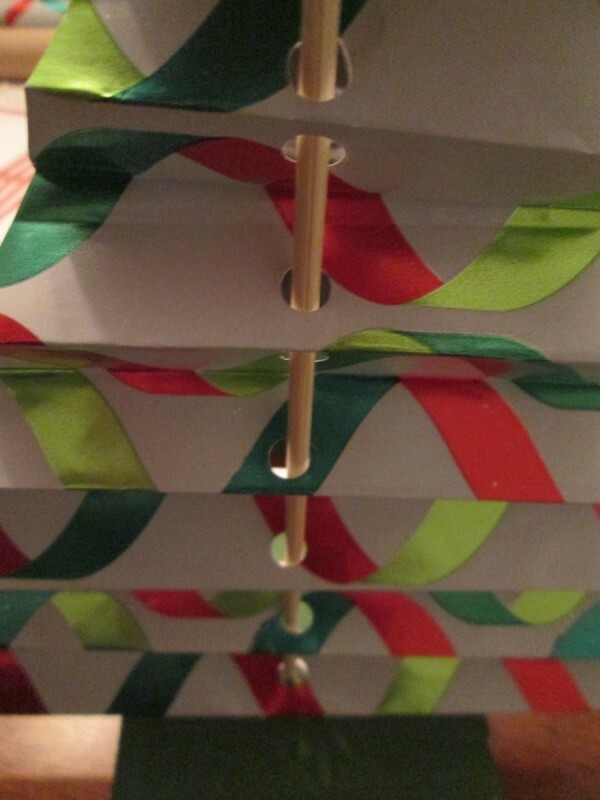 Pull your paper accordion to the top and secure with a bead of hot glue. 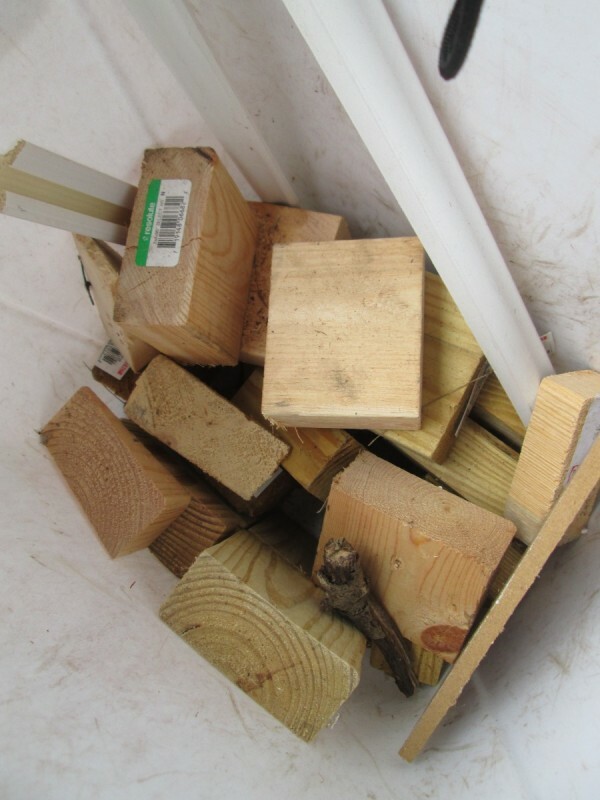 If skewer is to long, trim/cut off access. 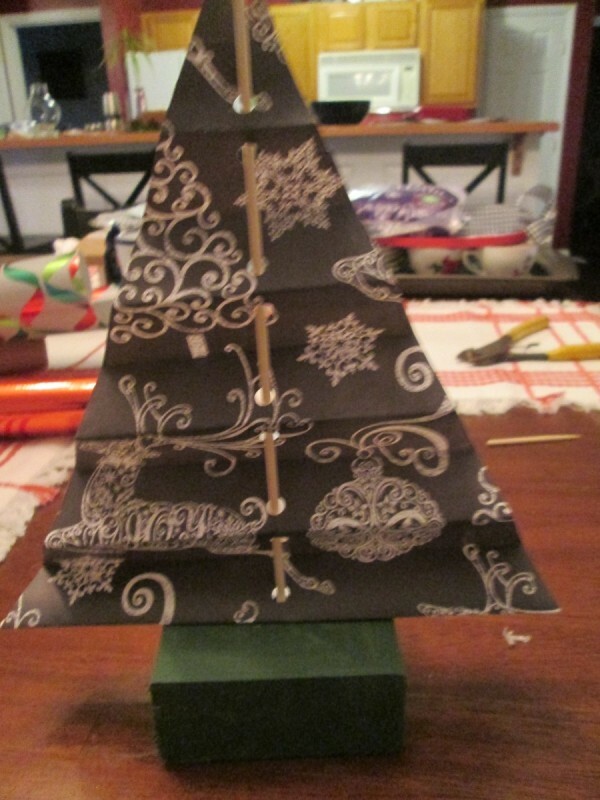 The final step is decorating trees (optional).